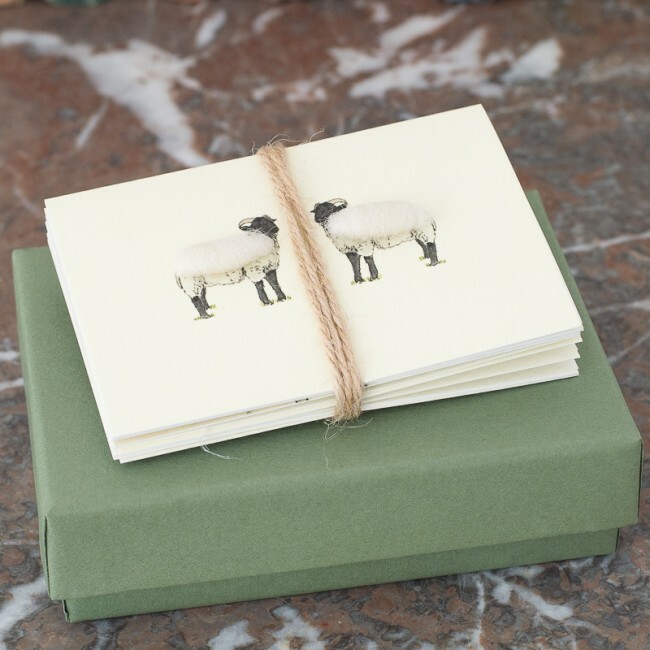 Our boxed collection of sheep gift cards is adorable! 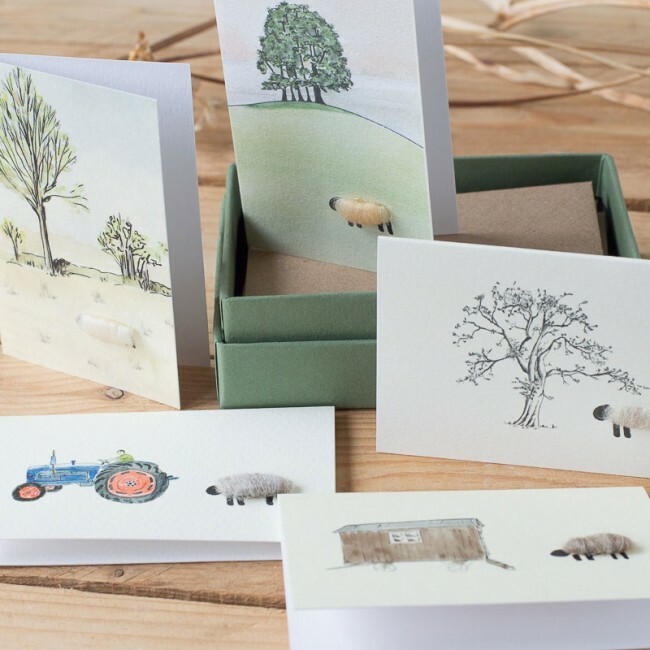 A lovely box of 8 assorted designs is a charming small gift for any sheep lover. 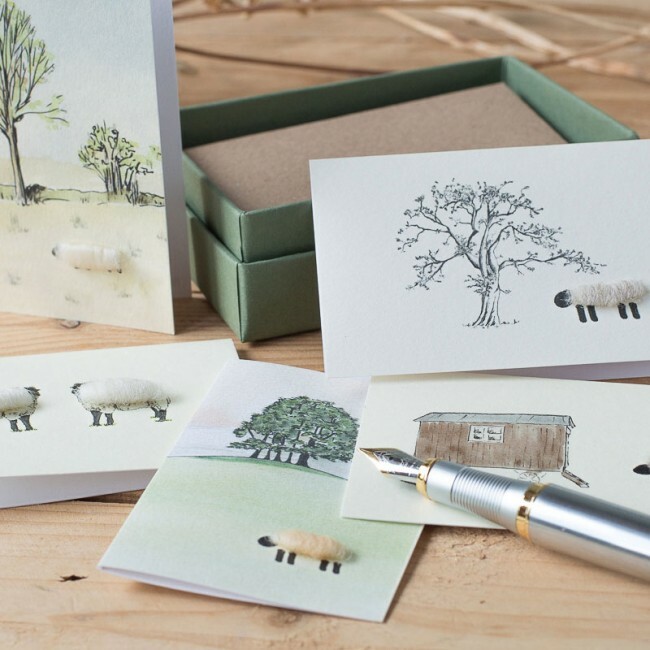 We select 8 of our lovely sheep designs and pack them in a handmade gift box. 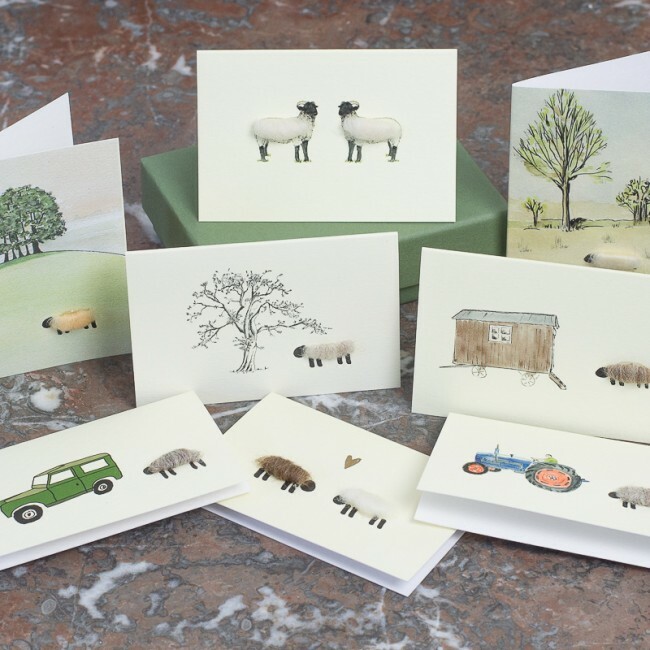 Lots of lovely sheep designs, each with its unique woolliness. We hand finish each sheep with a little 3D woolly body. Just pick a card for use, and keep the others safe and clean until needed. 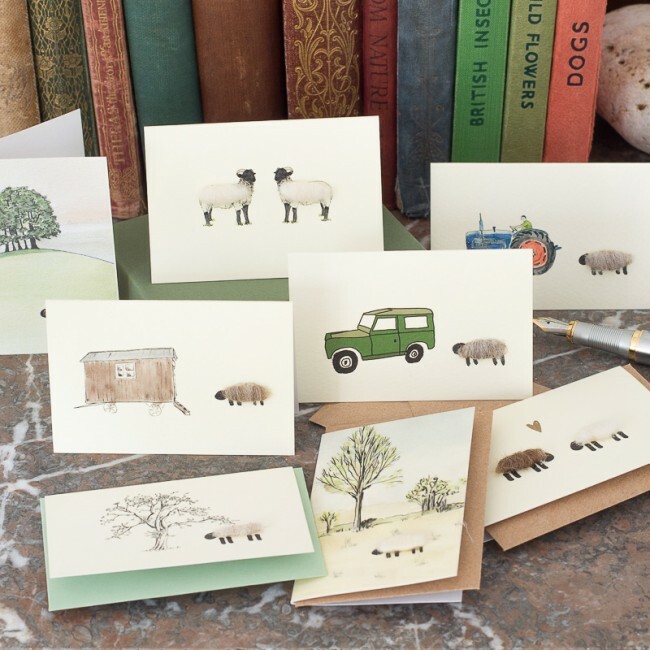 The cards measure 90 x 55 cms, so very cute. Envelopes are included. We suggest that the gift card is put into a larger envelope if you intend to send them through the postal system, just because they may be a little small for Royal Mail’s system.